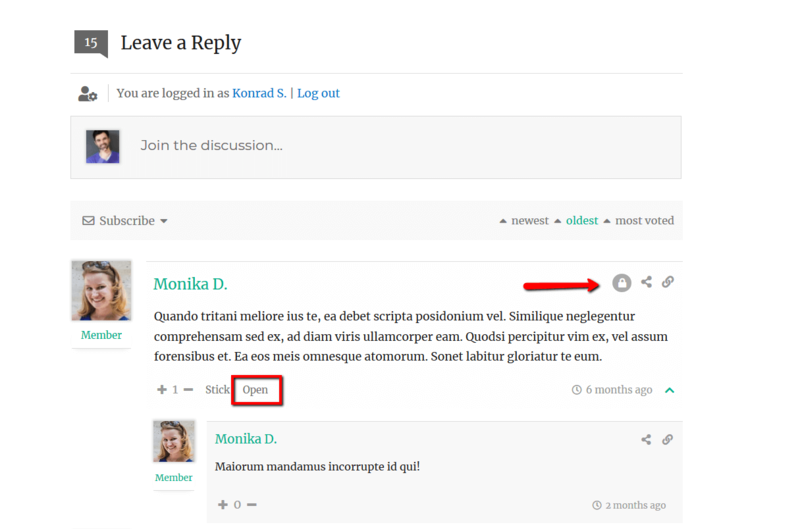 wpDiscuz comment plugin settings are located in Dashboard > Comments > Settings admin page. The second tab is the “Comment Form” tab with wpDiscuz comment form general options mentioned below. Pleas note, that wpDiscuz allows to create different comment forms with custom fields in Dashboard > Comments > Forms admin page. By default there is one Default Form. 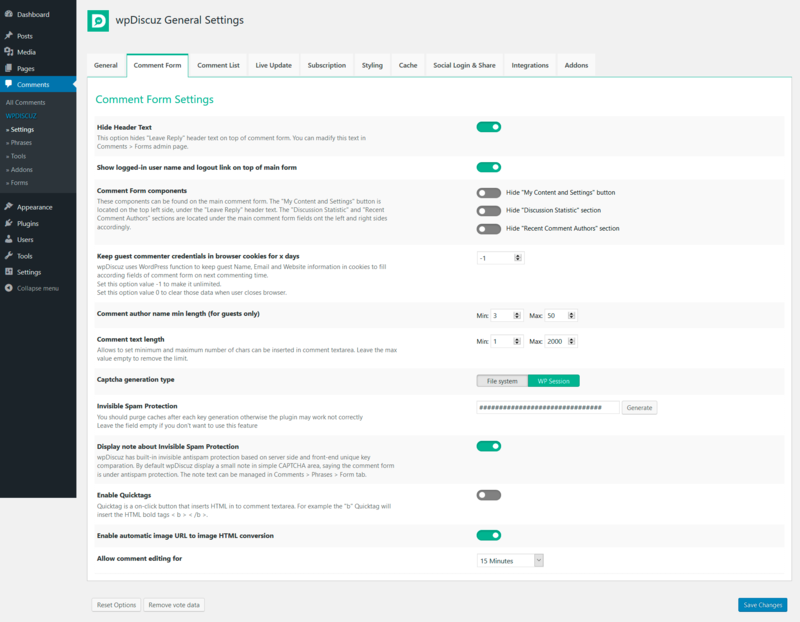 Comment form editing screen consists of the Comment Form Settings area (above) and Comment Form Builder section (below). Using these options you can configure comment forms individually (documentation). 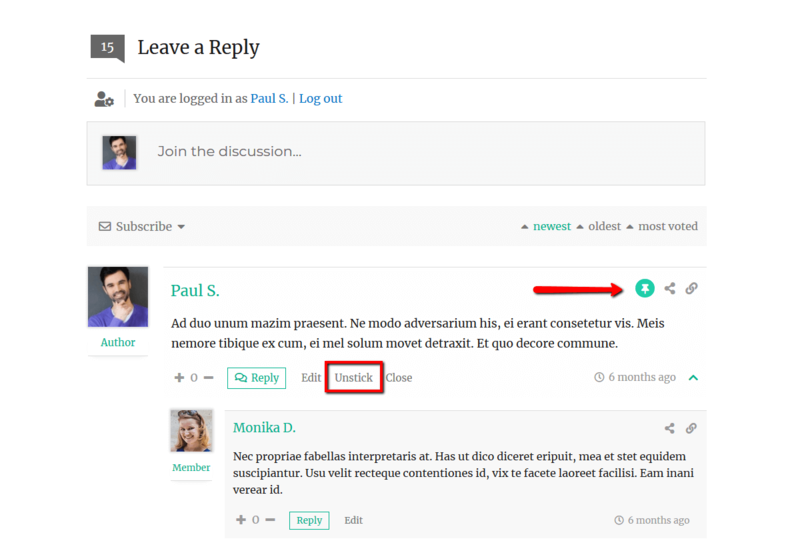 Beside individual options of comment forms, there are general options for comment form configuration. These options are located in the “Comment Form” tab of wpDiscuz Settings. In this documentation we’ll go through all these options. This option refers to the “Leave Reply” header text. Using this option you can hide this text. This text can be changed or translated in individual comment form settings. Using this option you can hide/show the username and link to logout located under the “Leave Reply” header, above the comment text field. By default the life time of cookies are not limited (-1). Inserting “0” in this option, you can force deleting these cookies when guest close browser. Also you can set certain number of days. This option controls Guest Name length. You can force guests insert names started from min length and limit it up to the max length. Using this option you can set minimum and maximum number of comment characters/letter. When the max number option is set, commenters see count-down number on the top right side of comment textarea. In case you’ve enabled wpDiscuz Simple CAPTCHA and the CAPTCHA image is missing, we recommend to change the CAPTCHA generation type. By default, the type is set Session, it works on almost all servers. However there are exceptions when you should change it to the File System type. Note: Started from wpDiscuz 5.1.0 version, by default the simple CAPTCHA field is disabled. The antispam protection is being done by built-in invisible antispam functions. You can enable back the simple CAPTCHA in Comment Form Builder, using the CAPTCHA field options. For an advanced antispam protection we recommend wpDiscuz – Google reCAPTCHA addon. wpDiscuz has built-in invisible antispam protection based on server side and front-end unique key comparison. For this function wpDiscuz generates unique key for each webiste. In case you generate new key, please don’t forget delete all caches and purge website CDN. To disable the invisible antispam protection, just delete the unique key. By default wpDiscuz displays a small note in simple CAPTCHA area, saying the comment form is under antispam protection for guests. This option allows you to hide/show the note. You can manage this note text in Dashboard > Comments > Phrases > Form tab. The Quicktags API allows you to include additional toolbar buttons in the Comment Textarea.Using these buttons, commenters can insert HTML codes, such as link, block-quote, spoiler, code, ordered and unordered lists. Also there are buttons for text formatting (bold, italic, underline). Using this option you can enable/disable the Quicktags API on comment form. This URL will be automatically converted to an image when comment is displayed. Using this option you can enable/disable image URL to image HTML conversion. For an advanced file/image uploading options we recommend wpDiscuz Media Uploader addon. wpDiscuz allows guests and users edit their comments within 15 minutes after the comment is posted. This is the default timeout. Using this option you can change or remove the comment editing timeout. The button to set a comment thread as sticky is only available for website administrators and moderators. Like stickied posts, stickied comments will always remain at the top of the comments, regardless of what sort you’ve chosen. Only top level comments (comment thread starter) has [Sticky] button and can be stickied – replies to other comments are not stickyable. There may be multiple stickied comment threads under the same post. Closing a comment thread is used to halt the discussion while allowing the current comments to remain visible. The button to close a comment thread is only available for website administrators and moderators. Only top level comments (comment thread starter) has a [Close] button, it closes current comment thread and hides [Reply] buttons of all comment replies. Using this option you can disable drop animation in comment section. It includes the slow opening animation of comment forms and subscription bar.